Building your email marketing contact lists for a successful email marketing campaign? The success of your email campaigns and your business, however, depends on getting the right and engaged contact list. Purchasing a list may seem like a quick and easy fix, but in the long run, you will lose money and ruin your sending reputation. And you’re doing what email subscribers don’t like. Receiving emails from an unknown source add clutter to your inbox and completely distracts you from reading the emails you really want to read. If you don’t like it, how much more for your probable subscribers? Buying email lists might seem like a great idea – to quickly increase your leads and boost interaction – but results are, it’s going to fail, and you’ll get unengaged subscribers in return. You see, choosing an easy way out doesn’t always end up with good results. Invading a stranger’s mailbox come as annoying. How would you feel if you receive an email from a company you have never heard of? Someone you’ve never exchanged emails with? If people receive an unexpected email from a sender, they don’t fully recognise, except that they won’t bat an eye to delete the email and report it as spam immediately. Remember that you’re sending email campaigns to real life people. You tailor your email content to encourage them to click and convert. But forcing anyone your way without their permission at an early stage, risks and preemptively loses the chance to build a good relationship. People actually pay attention to what they’re signing up for; they will know if they signed up for an email list or not. Purchased lists most likely contain poor quality contacts such as old email addresses that are unlikely being used anymore and only has a small number of active ones. The more you send emails to a purchased list that is full of unresponsive and unused contacts, the higher your bounce rates will become. Results of the overall campaign will be underwhelming and stagnant. If your bounce rate goes over 5%, there’s a big chance that there’s a problem with the list. Although you can still find active and responsive accounts on this type of list, they’re likely to redirect your email to the trash without even seeing who the sender is. The worst that can happen is they flag your email as spam, and your mailing reputation will be spiraling down the drain. Your email service providers also note the poor quality of your e-mailing lists. They might ask you questions about how you’ve built your list and might even go as far as stopping you from doing another campaign until you address and resolve the issue of your list. No matter how large or small your purchased contacts are, the impact of such actions inflicts on your reputation. You’ll find lower engagements and interactions with your email. And with a poor deliverability result, your emails may not even make it for the responsive and engaged subscribers. Email service providers don’t allow bought email lists. A reputable email service provider does not allow the use of a purchased list for an email campaign. Email service providers or ESPs monitor everything that goes in and out of their system. Email service providers keep an eye on their clients and the content quality of the emails they send out. They will know if you’re planning to send to a questionable list. ESPs like Gmail, Yahoo!, and Outlook grow their business from a good sender, and they bar accounts that email receivers repeatedly flag as spam. Other ESPs, like AWeber, even go as far as immediately closing down your email account if they suspect you of sending unwanted content. An active e-mailing list is not for purchase. 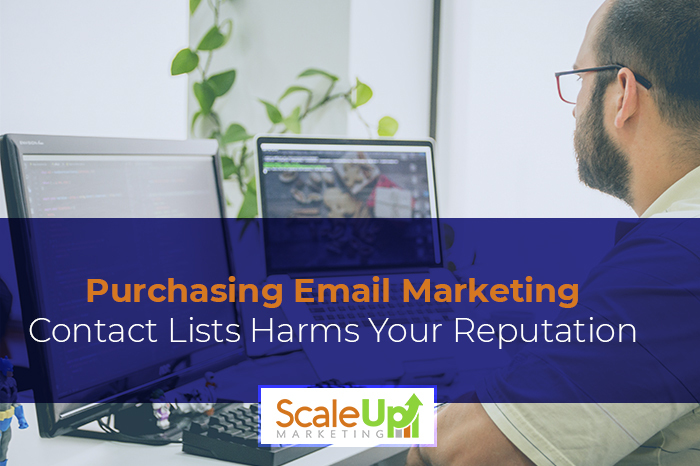 Purchased lists most likely contain poor quality contacts such as old email addresses that are unlikely being used anymore or non-responsive/unqualified for marketing outreach. Although bought email addresses might’ve once had value, they’re already likely marked as spam. A highly-responsive and active email list can only be earned, not purchased. Would you share email addresses of those who have voluntarily joined your e-mailing list? Growing your email list depends on what type of business you are engaged in. If you want an easy way to build an email marketing contact list, start by putting up a sign-up form on your website. You can even use it for your blog if you deem it as a suitable medium for your business, where you get to customise and personalise how the form will look and what data you will collect. The goal here is to build an active and responsive e-mailing list. A huge number of contacts don’t mean anything for the growth of your business if they’re detached and unengaged with your brand. 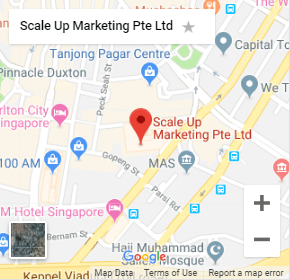 Companies have been using marketing automation software like Infusionsoft, one of the best CRM in Singapore, as their choice to create a hassle-free email marketing campaign. 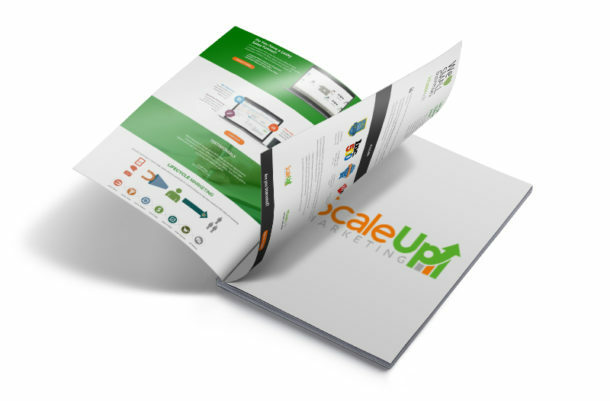 Since there are already a number of email marketing tools available, it’s only a matter of a good marketing automation software choice to carry your campaign on easily. In creating an effective email marketing campaign, you need to have an active e-mailing list. Building and growing the best email contact list is a matter of investment in time and patience. Remember, CRM Systems such as Infusionsoft from Singapore are only tools that you can use. How you deal with your leads is up to you. If you want your email to get to the inbox of your desired emailing contacts and be read, make sure your email lists are selected and have been growing the right way. Your investment in building a good email list will pay off when you have a high-performing list of subscribers who can’t wait to open and read your emails. What about you? Are you ready to grow active and engaged people on your list?